Visualization created by IBM of daily Wikipedia edits. At multiple terabytes in size, the text and images of Wikipedia are an example of big data. The term has been in use since the 1990s, with some giving credit to John Mashey for coining or at least making it popular. Big data usually includes data sets with sizes beyond the ability of commonly used software tools to capture, curate, manage, and process data within a tolerable elapsed time. Big Data philosophy encompasses unstructured, semi-structured and structured data, however, the main focus is on unstructured data. Big data "size" is a constantly moving target, as of 2012 ranging from a few dozen terabytes to many petabytes of data. Big data requires a set of techniques and technologies with new forms of integration to reveal insights from datasets that are diverse, complex, and of a massive scale. Business Intelligence uses descriptive statistics with data with high information density to measure things, detect trends, etc..
Big data uses inductive statistics and concepts from nonlinear system identification to infer laws (regressions, nonlinear relationships, and causal effects) from large sets of data with low information density to reveal relationships and dependencies, or to perform predictions of outcomes and behaviours. Much has been written about Big Data from a technical, economical, juridical and ethical perspective. Still, very little empirical and comparative data is available on how Big Data is approached and regulated in Europe and beyond. This contribution makes a first effort to fill that gap by presenting the reactions to a survey on Big Data from the Data Protection Authorities of fourteen European countries and a comparative legal research of eleven countries. This contribution presents those results, addressing 10 challenges for the regulation of Big Data. Big Data is a buzzword used frequently in both the private and the public sector, the press, and online media. Large amounts of money are being invested to make companies Big Data-proof, and governmental institutions are eager to experiment with Big Data applications in the fields of crime prevention, intelligence, and fraud, to name but a few areas. Though the exact nature and delineation of Big Data are still unclear, it seems likely that Big Data will have an enormous impact on our daily lives. Positively, undoubtedly, but there are also inherent risks to Big Data applications, as it might result in discrimination, privacy violations, and chilling effects. The ideal situation would be to have an adequate framework in place that will ensure that the beneﬁcial uses of Big Data are promoted and facilitated, while the negative effects are mitigated or sanctioned. This contribution provides building blocks for developing such a framework, by giving an overview of the experience in the use and regulation of Big Data in 23 countries, aiming in particular at the use of Big Data by governments. The research presented in this article was conducted in two phases. The first phase involved desk research and looked at Big Data policies, legislation and regulation in a number of countries. Second, a questionnaire was sent to several European DPAs. The desk research examined eleven countries. These countries were selected on the basis of three criteria. The first was global coverage – the research sought to be as representative as possible to provide a full picture of global developments in relation to Big Data, which is by nature an international phenomenon. Therefore, at least one country from each continent (with the exception of Antarctica) was examined. The second criterion was an estimation of the potential value of the expected outcomes of the research – some countries are more innovative and ambitious than others in terms of technological developments such as Big Data. Thirdly, the role a country plays in international politics was taken into account; on that basis, China rather than South Korea was studied, even though the latter country is often at the forefront of technological developments. Based on these three criteria Australia, Brazil, China, France, Germany, India, Israel, Japan, South Africa, the United Kingdom and the United States were selected. The desk research focused on two issues in particular. First, government policy decisions were analyzed, as were initiatives related to this topic, such as governments using Big Data themselves or stimulating the use of Big Data in the private sector, either through financial support or by engaging in partnerships. Second, research was carried out on legislation and case law revolving around Big Data in the selected countries. It should, again, be noted that this study is not exhaustive – there is, undoubtedly, a myriad of relevant laws, court cases and DPA reports that are not discussed here. In studying the eleven countries, almost exclusive use was made of official sources, especially government websites. The reason for this is that it is often difficult to establish the reliability of foreign sources. This choice does, however, imply that this article mainly presents a picture of the governmental view of Big Data and of governmental regulation. Criticism of those initiatives and autonomous processes in the private sector remain largely undiscussed. This bias was accepted as a tradeoff in order to guarantee the reliability of the sources studied. When discussing Israel, however, use was made of online newspaper articles from Israeli news sources and a published online interview, because this provided vital information and because the news-source was regarded as reliable. The information from these sources was not available on government websites, but was nonetheless considered essential. The DPAs in all 28 EU Member States were emailed with a request to complete the survey. Requests were also sent to the DPAs in three non-EU countries, namely Norway, Serbia and Switzerland, because a short preliminary study had shown that they might have specific expertise in relation to Big Data. DPAs that did not respond within the period specified in the initial request were sent a reminder; those that did not respond to this mail either were sent a final reminder. In most cases, the questionnaire was sent to the general contact address as posted on DPA’s website. However, since the French website lists no general email address, personal contacts were used to email two specific employees of the CNIL. For three other DPAs (Germany, the Netherlands and Norway), in addition to an email to the general email address, an email was also sent to a specific individual employee. For other DPAs, either no such personal contacts existed or they existed but it was not necessary to use them because a response had been received. Eventually, of the 31 DPAs included in the survey, 18 responded: Austria, Belgium, Croatia, Denmark, Estonia, Finland, France, Hungary, Ireland, Latvia, Lithuania, Luxembourg, the Netherlands, Norway, Slovakia, Slovenia, Sweden and the United Kingdom. Four of these (Austria, Denmark, Finland and Ireland) were negative responses, stating that the DPA in question would not participate in the study. Consequently, about half of the DPAs invited to join the survey have actually responded. The results found in this study can, therefore, not be seen as determinative but as indicative of possible trends, feelings and attitudes towards Big Data. It should be taken into account that those DPAs that have already dealt with Big Data projects would be more likely to respond to such a survey than those that haven’t. Rather than presenting the bare facts, listing the regulatory initiatives in the various countries studied and the answers from the DPAs, this article uses the insights gained from those results to shine light on some of the most difficult questions regulators have to answer when deciding on future regulation of Big Data. These questions are partly based on those asked in the survey and partly follow from the desk research. Additional questions have been added in order to present the most interesting findings from both the desk research and the survey in an orderly fashion. Ten issues/questions are discussed in more detail: (1) What is the definition of Big Data? (2) Is Big Data an independent phenomenon? (3) Big Data: fact or fiction? (4) What is the scope of Big Data? (5) What are the opportunities for Big Data? (6) What are the dangers of Big Data? (7) Are the current laws and regulations applicable to Big Data? (8) Is there a need for new legislation for Big Data? (9) What concept should be central to Big Data regulation? (10) How should the responsibilities be distributed? These questions will be discussed in the subsequent sections. The article will conclude with a short summary of the main findings. 2. What is the definition of Big Data? Finally, several DPAs also gave their own definition of Big Data when completing the survey, or referred to specific definitions used in their country. For example, the Estonian DPA describes Big Data as collected and processed open datasets, which are defined by quantity, plurality of data formats, and data origination and processing speed. The French DPA refers to a definition adopted by the French General Commission on terminology and neology (Commission générale de terminology et de néologie). The official translation of Big Data in French is ‘mégadonnées’, which stands for data, structured or otherwise, whose very large volume require appropriate analytical tools. The DPA of Luxembourg suggests that Big Data stems from the collection of large structured or unstructured datasets, the possible merger of such datasets, as well as the analysis of these data through computer algorithms. These datasets can usually not be stored, managed and analyzed with average technical means due to their size, it also points out. The Dutch DPA primarily points to the ‘volume’ aspect of Big Data and argues in particular that Big Data is all about collecting as much information as possible, storing it in ever-larger databases, combining data that is collected for different purposes and applying algorithms to find correlations and unexpected new information. The DPA from Slovenia not only refers to the use of different types of data, acquired from multiple sources in various formats, but also to predictive analytics used in Big Data. Finally, the Swedish DPA suggests the concept is particularly used for situations where large amounts of data are gathered in order to be made available for different purposes, not always precisely determined in advance. It can be seen from this list of definitions that a number of components are regularly mentioned. Broadly, they relate to three states of Big Data processing, namely the collection, analysis and use of data. When it comes to collecting data, Big Data is about collecting large amounts of data (volume) from varied (variety) and often unstructured data sources. With regard to analyzing the collected data, Big Data revolves around the speed (velocity) of the analyses and the use of certain instruments such as algorithms, machine learning and statistic correlations. The results are often predictive in nature (predictive analytics) and are formulated at a general or group level. The results are usually applied by means of profiling. Many of the definitions contain some of these components; none of the definitions used mention all of these components. Consequently, none of these elements should be seen as essential – that is, if one or more of these elements do not apply, it does not follow that the phenomenon being studied is not Big Data. Rather, these elements should be seen as parameters; if none of the elements apply, the phenomenon is definitely not Big Data; if all the elements apply, the phenomenon being studied definitely is Big Data. Mostly, however, it will somewhere in between. It is impossible to say, for example, how big a dataset must be in order to qualify as Big Data; although Big Data usually works with combined datasets, it is conceivable that one enormous dataset could qualify as Big Data; although Big Data usually (partially) works with unstructured data, this is not a condition sine qua non; etc. 3. Is Big Data an independent phenomenon? The overview of definitions already shows that Big Data should not be seen as an isolated phenomenon. It is a new phenomenon which by its nature is strongly connected to a number of technical, social and legal developments. This conclusion is supported by the desk research, which also found that Big Data is intertwined with several other terms. For example, lots of Big Data initiatives are linked to Open Data. As the name suggests, Open Data is the idea that (government) data should be placed in the public domain. Traditionally, it has been linked to efforts to increase transparency in the public sector and give more control over government power to media and/or citizens. The Estonian DPA is in particular very explicit about the relationship between Open Data and Big Data, as it defines Big Data as “collected and processed open datasets, which are defined by quantity, plurality of data formats and data origination and processing speed”. The desk research also shows a clear link between the two concepts in countries such as Australia, France, Japan and the United Kingdom. Linked to Open Data is the idea of re-use of data. Yet, there is one important difference. While Open Data has traditionally been concerned with transparency of and control over government power, the re-use of (government) data is specifically intended to promote the commercial exploitation of the data by businesses and private parties. The re-use of Public Sector Information is fostered through the PSI Directive of the European Union. More generally, re-use refers to the idea that data can be used for a purpose other than that for which they were originally collected. Obviously, the link between Big Data and re-use is often made, as appears both from the desk research and from the survey. The Norwegian DPA, for example, uses the definition of Big Data of the Working Group 29, ‘but also add what in our opinion is the key aspect of Big Data, namely that it is the compilation of data from several different sources. In other words, it is not just the volume in itself that is of interest, but the fact that secondary value is derived from the data through reuse and analysis.’ The desk research also showed a link between the two concepts. In France, for example, Big Data is primarily seen as a phenomenon based on the re-use of data for new purposes and on the combination of different data and datasets. Similar to the term profiling, ‘algorithms’ is used in many definitions of Big Data. This applies to the definition by Article 29 Working Party, the EPDS and a number of DPAs responding to the survey, such as those of Luxembourg, the Netherlands and the UK. A number of countries also have a special focus on algorithms. To provide an example, in Australia, a ‘Program Protocol’ has been developed – a report may be issued which contains the following elements: a description of the data; a specification of each matching algorithm; the anticipated risks and how they will be addressed; the means of checking the integrity of the data; and the security measures used. There are other terms that are often mentioned in connection with Big Data, such as machine learning, commodification of data, datafication, securitization and risk society. It goes beyond the scope of this article to discuss all these terms in depth. What is important to note is that Big Data should be primarily viewed in its interrelationship and in conjunction with other phenomena. Big Data is a part of and, in a certain sense, the umbrella term for many of the technological and societal developments that are already taking place. This needs to be taken into account when regulating Big Data. It seems advisable for regulators to take a holistic approach to the regulation of Big Data and related phenomena. 4. Big Data: fact or fiction? There is still no clarity about the extent to which Big Data processes are already being used in practice. The reactions of a number of DPAs seem to suggest that Big Data is not yet an established practice. For example, the Austrian DPA declined to participate in the survey because it had encountered few if any Big Data processes; cautious reactions were also received from the DPAs of Latvia, Lithuania and Slovakia. The Belgian DPA suggests that there is currently a lack of clarity about Big Data and refers to Gartner’s hype cycle. It also adds: “Most Belgian projects seem to still be in a pilot phase and the visibility of Big Data in practice is still low.” However, other DPA responses show a different picture – they confirm that Big Data is a major trend, and that Big Data is playing an increasingly significant role. Some DPAs, such as Norway, have written a special report on the regulation of Big Data practices. The United Kingdom DPA has also issued a discussion paper on this topic. Furthermore, it emerged from the desk research that projects are underway in most countries that are connected to Big Data, although it should be noted that a fairly broad approach was taken in the desk research to what qualified as ‘Big Data’. The picture that emerges from all of the foregoing is one in which Big Data plays a minor role in most countries at present but is set to become increasingly important. Big Data should, therefore, not be seen as either an actual practice or as a fiction, a hype that will blow over, but rather as a trend that will play a major role in five years’ time and will have a significant impact on the government sector, on business, and on citizens’ everyday life in the future. What is clear from the desk research is that in most countries the government feels it is missing out on this important trend. While the industry is investing billions in Big Data projects, many governments are – or feel they are – lagging behind. This is why many governments are now beginning to invest heavily in Big Data projects. To give a few examples, the desk research showed that in the United States, more than $200 million was reserved for a research and development initiative for Big Data, which was to be spent by six federal government departments; the army invested the most in Big Data projects, namely $250 million; $160 million was invested in a smart cities initiative, investing in 25 collaborative ventures focused on data usage. In the United Kingdom, £159 million was spent on high-quality computer and network infrastructure, there was £189 million in investments to support Big Data and to develop the UK’s data infrastructure, and £10.7 million will be spent on a center for Big Data and space technologies. In addition, £42 million will be spent on the Alan Turing Institute for the analysis and application of Big Data, £50 million will be set aside for the ‘Digital Catapult’, where researchers and industry are brought together to come up with innovative products; and lastly, in February 2014 the Minister of Universities and Science announced a new investment of £73 million in Big Data. This money will be used for bioinformatics, open data projects, research and the use of environmental data. In South Africa, the government has invested 2 billion South African Rand, approximately €126.8 million, in the Square Kilometre Array (SKA) project, which revolves around very large datasets. In France, seven research projects related to Big Data were awarded a total of €11.5 million. In Germany, the Ministry of Education and Research invested €10 million in Big Data research institutes and €20 million in Big Data research; this Ministry will also invest approximately €6.4 million in ABIDA, a four-year interdisciplinary research project focusing on the social and economic impact of large data sets. 5. What is the scope of Big Data? This study, and especially the desk research, shows that Big Data projects are initiated for very different purposes. In Brazil, for example, the so-called Data Viva system was initially used mainly for the formulation of economic policy. In addition, the police in Sao Paulo use a system (Detecta) that is based on Big Data technology. Detecta is an intelligent system for monitoring crime. In the United Kingdom, too, Big Data is used to fight crime. The POSTnote about Big Data and crime and safety provides an example of the use of Big Data by the police. Software has been developed as part of a pilot to predict the location of burglaries, and two British police forces use software developed for predictive policing to predict the locations of crimes. The British tax and customs authority, HMRC, also uses a Big Data system, ‘Connect’, in which all the data held is aggregated and analyzed. This Big Data system is used to detect tax fraud and tax evasion, and is said to have led to the recovery of £2.6 billion since April 2013. The system displays relevant information in searches that is otherwise difficult to find, allows complex analyses to be performed on the development of multiple datasets simultaneously, and enables profiles to be constructed which can help uncover patterns that may indicate particular crimes. In some countries, Big Data is primarily seen as a means for the government to increase its own service to citizens; prominent examples are Australia and China. Reference can also be made in this connection to the Aadhaar project that has been developed and carried out by the ‘Unique Identification Authority’ of India and which involves the collection of biometric and demographic data on residents of India. One of the uses of Aadhaar is ‘micropayments’, a means of identification which should help improve access to financial services for people living in rural areas. The identification number makes it possible to identify people in remote regions from a long distance and also reduces costs through economies of scale, making it easier for poorer people to obtain financial services. Other sectors where Aadhaar provides solutions include demographic planning, paying security social benefits and improving the identification of beneficiaries by eliminating duplicate identities. Government administrative processes should become more efficient because the authorities now have access to all relevant information at a glance. Several countries see Big Data mainly as a phenomenon that can help the private economy. Germany, for example, has launched a funding initiative to support the competitiveness of it companies, and France also feels that Big Data is set to take off, especially in the private sector, through the growth of its companies and startups which help to stimulate the economy and create jobs. There are also countries, such as Japan, Germany and the United Kingdom, where Big Data is approached primarily in relation to scientific research and innovation. Israel, finally, is unique in that it also uses new technological systems for facilitating the activities of the army. It also has to be borne in mind that many intelligence services are involved with Big Data-like projects; however, often little is known about these projects, other than what has been leaked by whistleblowers. The picture that emerges from this research is that Big Data could be used in almost every sector and for almost any task. Generally, the use of Big Data can be divided into three types. Firstly, the use of Big Data for specific government tasks – examples include the use of Big Data by intelligence services, the police, tax authorities and other public bodies, for example in the context of formulating economic policies. Second, the use of Big Data by the private or semi-public sector, helping or facilitating them in achieving their specific tasks and/or goals. Examples include the use of Big Data by companies to create risk profiles, to find statistical correlations and to personalize services and advertisements, and the use of Big Data by universities and research institutes for research-related purposes. Big Data is also widely used in the medical sector; for instance, the United Kingdom has heavily promoted the use of Big Data in the healthcare sector, and the Israeli Ministry of Health has a large dataset containing medical data on the citizens of Israel and on the healthcare system. According to the Ministry, the potential benefits lie in the facilitation of a variety of healthcare functions (including assisting in the clinical decision-making process, in monitoring diseases and in proactive healthcare). Thirdly, Big Data is used by both governments and private sector companies to improve their service to citizens or customers; this might, for example, involve increasing the transparency of their activities, strengthening the control of citizens over data processing, etc. These three categories should lead to different approaches to regulation. The last category is relatively unproblematic because it serves the interests of the citizen. Here, the current legislation on aspects such as the use of personal data should suffice. The situation is different when Big Data is used by governmental agencies to support their goals. It is important to distinguish between the different fields in which Big Data is used by the government. If Big Data is used for the development of economic policies, for routinely inspecting fire installations or for epidemiological research, this should be relatively unproblematic. In these instances, general patterns and statistical correlations are used to promote the efficiency and effectiveness of public policy. However, if Big Data is used by the police, a different picture emerges – while Big Data is about processing large amounts of data and detecting general patterns, the police need to investigate and possibly arrest specific individuals on the basis of concrete facts. There is a particular danger of mismatches when general profiles are applied to specific individuals. When regulating Big Data, the potential impact on citizens must be taken into account; that impact will be greater when Big Data is used by the police, intelligence services and the army than when it is used for the development of general economic policies. It also appears from the survey that several DPAs are skeptical about the use of Big Data by the police, both because of the possible impact on the citizen and because of the potential for mismatches between general profiles and specific individuals. Finally, the use of Big Data in the private sector can also be problematic. It emerged from this study that two things in particular need to be taken into account. First, use can be made of data or profiles that are based on sensitive information, such a data about race, medical conditions or religious beliefs; users can also be made of categories that appear neutral but are, in fact, based on these types of information – a practice known as redlining. Second, the consequences of the use of Big Data in the private sector may also be substantial, irrespective of whether or not sensitive information is used. Where advertisements are personalized through the use of Big Data-like applications, the impact will, of course, be relatively small; however, when Big Data is used to develop risk profiles on the basis of which banks decide who may be eligible for a loan and on what terms, or by health insurers to decide who they are prepared to ensure and on what terms, the consequences can be significant. Factors that could be taken into account when regulating Big Data are the impact of its use on the individual, the types of data and data analysis that are used and the potential danger of a mismatch between general profiles and specific individuals. A distinction could also be made between the type of organization that uses Big Data and the specific purpose for which it is used. The general interest that is served by the use of Big Data naturally also has an impact on what should be considered legally admissible. 6. What are the opportunities for Big Data? Noteworthy is that many DPAs suggest that Big Data is used particularly in the private sector and less so in the public sector – in particular, the use of Big Data for security-related activities by the government is rejected. Only a few DPAs, such as the Dutch DPA, refer to the use of Big Data by the government for security purposes. The desk research, however, reveals a different picture, showing that governments do, indeed, use Big Data technologies, including for security purposes. Australia is an example of a country that is already quite well-advanced in using and applying Big Data processes. Among other things, it operates a prototype of the ‘Border Risk Identification System’ (BRIS). This system can be used at international airports to better estimate which travelers might cause problems. Reference can also be made to the ‘Developmental Pathways Project’, in which data on children from a variety of sources are linked. Among other things, an assessment will be made of the influence of factors relating to family and the environment on the health of children, the risk of juvenile delinquency, and education. Finally, there is a data tool, Vizie, which has been designed by the Commonwealth Scientific and Industrial Research Organisation (CSIRO), an Australian government corporate entity. This tool follows activity on social media and analyses social media behaviour. A number of government agencies and public sector actors would also like to use this tool, at least according to CSIRO. Some examples can also be found of trials with Big Data in the area of security in the United States. For example, police forces used Big Data analytics to predict the odds that an individual will become involved in criminal activity. An example is Philadelphia, where the police used a tool to predict the chance of repeated offences. In addition, as indicated in the previous paragraph, countries such as Brazil, Israel and the United Kingdom promote the use of Big Data by the police, the intelligence and security services, and the military. All in all, no clear picture has yet emerged as to where the opportunities for the use of Big Data lie. It seems clear that both the public and private sectors agree that Big Data will be used in the private sector and will lead to economic and jobs growth. There is less certainty about both the desirability and effectiveness of the use of Big Data by the government, particularly for security-related purposes. This also relates to the questions that have already been raised regarding the effectiveness of Big Data-type data collections by intelligence services such as the NSA in the United States in the fight against terrorism. Yet, a number of countries have actually implemented such projects involving the intelligence services, the armed forces and the police; for example, in connection with predictive policing. In conclusion, it seems advisable that regulators make an explicit assessment of the desirability and effectiveness of the use of Big Data in the public sector, especially when used for the promotion of national security or public order. 7. What are the dangers of Big Data? It, therefore, appears that in addition to opportunities, there are significant risks associated with Big Data processes. It should be emphasized that these threats again vary with respect to their impact on citizens according to their application. Instances of discrimination are always problematic, but if the police discriminate, this may obviously be more serious than in the case of personalized advertisements. Consequently, when regulating Big Data, account should be taken of the likelihood and the magnitude of potential problems relating to privacy and/or discrimination, and this must be weighed against the potential benefits. 8. Are the current laws and regulations applicable to Big Data? Both the desk research and the results of the survey show that in most countries, the current rules in the area of privacy and data protection, as developed in their respective jurisdictions, are applied to Big Data processes. There is Germany with its distinctive personality right, the United States without an umbrella law for the regulation of privacy, but with sectoral legislation, and most other countries with relatively similar rules concerning privacy and data protection. In addition, a number of countries have specific laws on telecommunications and special rules for organizations such as the intelligence services and archives. In Australia, for example, there is specific regulation covering data matching in terms of tax records by governmental agencies, in which protocols are established for linking this data. Government departments working with files from the tax department must fulfil the requirements of the ‘Data-matching Program (Assistance and Tax) Act 1990’. There are also mandatory guidelines for the implementation of the data-matching program. It appears that current legislation is generally applied to Big Data projects, including in several court cases. In July 2015, for example, the French Constitutional Court, the Conseil Constitutionnel, gave its opinion on the French law governing the intelligence and security services. In this ruling, the court specifically stated which provisions of this law are in line with the French Constitution and which parts or provisions of the law are not. Some provisions were declared unconstitutional, including a provision regarding the permission given by the Minister to monitor communications sent from abroad or received from abroad. In the United States, the case of the United States v Jones from 2011 may be of importance because this lawsuit had a limiting effect on the large-scale data gathering of location data by the police. In ACLU v Clapper, the Second Circuit Court of Appeals ruled that the mass collection of metadata of phone records by the NSA is illegal – this activity is not covered by section 215 of the Patriot Act. Meanwhile, however, the Foreign Intelligence Surveillance Court has ruled that the collection of metadata may continue. In the United Kingdom, in the case of Google Inc. v Vidal-Hall & Others, the Court of Appeal was asked to rule on the interpretation of the Data Protection Act 1998. The case revolved around the complaint by users of Apple’s Safari browser, who believed that Google was gathering data through that browser in violation of the Data Protection Act 1998. The Court ruled that browsing information may be personal information and abuse of personal information should be considered as a tort. From the survey among the DPAs, it also appears that current legislation is considered to be generally applicable to Big Data. They mostly refer to the national implementation of the Data Protection Directive. Yet, there are a number of countries with specific laws. Because the Estonian DPA sees Big Data as part of the Open Data movement, it refers to the Open Data legislation, namely the Public Information Act, which is currently pending in Parliament. In Hungary, the Information Self-Determination and Freedom of Information (‘Privacy Act’) applies. The Swedish DPA refers to special legislation for public services, such as the tax authorities, and to telecommunications law which partially constitutes an implementation of the European e-Privacy Directive. The survey also shows that the current legislation is applied in legal cases by national courts and in the opinions of the DPAs. The Belgian DPA refers to its advice on profiling, the DPA of Luxembourg to a report on smart metering and the Dutch DPA to lawsuits regarding the Tax Authorities and the use of data collected by the police through traffic cameras operated by the Tax Authorities. In conclusion, it seems that the current legislation is generally declared to be applicable to Big Data; both courts and DPAs have successfully applied current principles when assessing Big Data-related projects. This should be taken into account when regulating Big Data. Replacing the current regulation with new ‘Big Data’ regulation would be to throw the baby out with the bathwater. If additional regulation is required, it seems more logical to develop new rules that could be applied in addition to the current regulatory framework. Whether, and to what extent, there is a need for such additional legislation will be discussed next. 9. Is there a need for new legislation for Big Data? It is evident from the foregoing sections that in most countries, Big Data initiatives are treated under existing legislation with regard to issues such as privacy and data protection. Furthermore, the DPAs are agreed that the current data protection principles must be maintained. The Slovenian DPA, for example, explicitly points out that Big Data brings substantial challenges ‘for personal data protection and these challenges must first be well understood and adequately addressed. In our view, new concepts and paradigms, such as cloud computing or Big Data should not lower or undermine the current levels of data protection as a fundamental human right. Existing central data protection principles, such lawfulness, fairness, proportionality, rights of the data subjects and finality should not be undermined with the advent of Big Data. The rights of the individuals to informational self-determination should be a cornerstone of modern information society, protected by modern data protection framework delivering efficient data protection for the individual while allowing lawful and legitimate interests, often also in the interest of the individual, to be attained.’ Yet, most DPAs are also aware of the fundamental clash between Big Data and data protection principles, as discussed previously. It is remarkable from the survey it appears that despite this fact, as of yet, little new legislation seems to be being developed that specifically addresses the new dangers posed by Big Data. Some DPAs refer to the forthcoming General Data Protection Regulation and indicate that they hope that those rules will help them to adequately curb the dangers of Big Data. For example, the British DPA suggests ‘that the proposals for the new EU General Data Protection regulation incorporate some of the measures we have identified as being important in ensuring compliance in Big Data e.g. 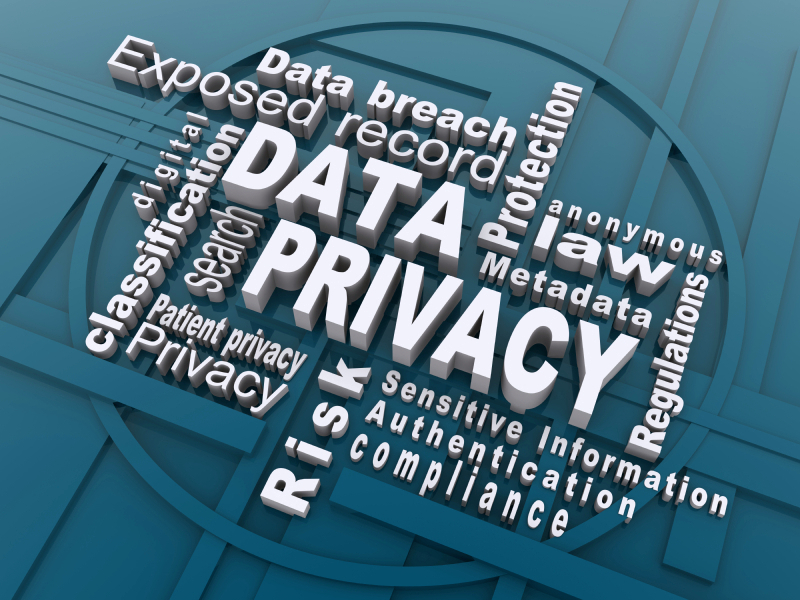 clearer privacy notices, privacy impact assessments and privacy by design. We welcome the fact that these measures are being foregrounded, although we are concerned that they should not be seen as simply a bureaucratic exercise.’ Moreover, the Estonian parliament is discussing new legislation on Open Data (including Big Data). Also, a number of DPAs refer to co-regulation and self-regulation as a possible solution. Yet, the desk research supports the idea that governments are, in fact, actively thinking about new legislation, partly because current laws are seen as hindering technological innovation. Japan may be a case in point here. In 2013, the Strategic Headquarters for IT produced an amendment to various statutory provisions on privacy and data protection: ‘Directions on Institutional Revision for Protection and Utilization of Personal Data’. A summary containing the main points of its policy, issued in 2014, discusses technological developments, including Big Data, that have occurred since the introduction of the Data Protection Act of 2003. According to the Strategic Headquarters for IT, there are now several barriers to the use of personal data. Furthermore, even organizations that respect the law and do not infringe rights are worried about criticism over potential privacy violations and the use of personal data; as a consequence, data are not used optimally. The growth envisaged by the Japanese government can only be achieved if personal data is used optimally and if Big Data flourishes. That is why the government wants to remove these barriers. An environment must be created in which violations of rights are prevented and in which personal information and privacy are protected, but in which, at the same time, personal information can be used for innovation. Furthermore, the UK Parliament has commissioned a study on the legislative framework for sharing data between public authorities. In July 2014, a commission published a report with three recommendations, suggesting among other things that the legal reform should go beyond simply stipulating rules for the sharing of data between public authorities; it should also regard the sharing of information between government agencies and organizations with public tasks. Finally, reference can be made to Germany. The Minister of the Interior has proposed a new principle for forthcoming legislation: the minimization of risk. He has also announced that Germany will propose the inclusion of provisions about pseudonymization and profiling. Consequently, when answering the question of whether it is desirable to formulate new rules for Big Data processes, three specific issues seem important. First, almost all countries and DPAs acknowledge that Big Data poses new and fairly fundamental risks to the current regulatory framework, and in particular the underlying principles. Second, the current regulatory framework is perceived as being (too) restrictive in relation to the deployment of new technologies and technological innovation, particularly in the private sector. Thirdly, many stakeholders are unsure how the current regulatory framework should actually be applied and interpreted in relation to Big Data. Two dangers might follow from this: on the one hand stakeholders, for fear of breaking the law, might forgo many technological innovations and data uses that would in fact be legitimate. On the other hand, parties might use – or rather, abuse – the existing grey area to deploy certain technologies that would not be in accordance with the current regulatory framework. Whether and how a new regulatory framework might provide a solution to these challenges needs to be assessed carefully by regulators. 10. What concept should be central to Big Data regulation? 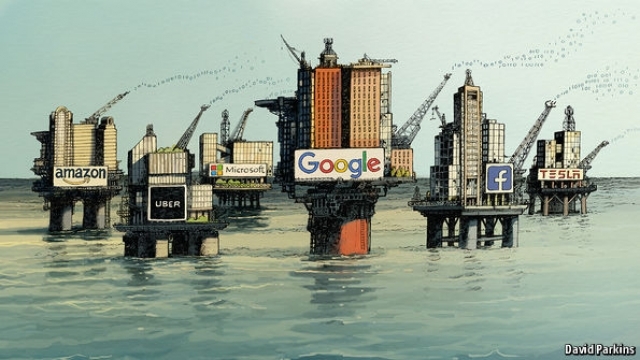 In short, a diffuse picture emerges, with respect to the extent to which developing a special regulatory Big Data regime is necessary or even desirable. What is evident is that regulating Big Data will be especially difficult for two reasons. First, it is difficult to choose a good starting point for the regulation of Big Data; this will be discussed in this section. Second, it will be difficult to pinpoint a specific person or institution to serve as data controller or, more generally, a natural or legal person that is responsible for compliance with the regulatory principles in Big Data processes. This will be discussed in the next section. Regarding the starting point, it should be noted that the current regulation is primarily based on the individual and their interests – this holds for human rights such as privacy and for data protection, which is based on the concept of ‘personal data’, i.e. data that enables someone to identify or individualize a natural person. However, Big Data processes do not so much revolve around the storage and processing of data at an individual level – rather, the trend is to work increasingly with aggregated data, general patterns and group profiles. Consequently, it is questionable whether the focus on the individual, on personal data, can still be maintained in the Big Data era. The statistical correlations and group profiles do not qualify personal data, but can be used inter alia to alter, shape or influence the living environment of people to a great extent. Furthermore, the trend towards the use of metadata also ties into this problem, because it is unclear to what extent metadata will always qualify as personal data. Consequently, it is questionable whether the individual, individual interests and concepts such as personal data, which are explicitly linked to individual natural persons, still serve as a good starting point for building a regulatory framework in the Big Data era. Irrespective of whether the regulator chooses to leave the current legislation largely intact, whether it opts to amend current legislation or chooses to develop a new Big Data framework, it seems that at a certain point in time it will be necessary to address the fact that it is increasingly difficult to take ‘personal data’, or a related concept, as the basis for rules and obligations. It should finally be noted that the nature of the data is also becoming less and less static; rather, data increasingly goes through a lifecycle in which its nature might change constantly. While the current legal system is focused on relatively static stages of data, and linked to the specific forms of protection (e.g. for personal data, sensitive data, private data, statistical data, anonymous data, non-identifying information, metadata, etc. ), in reality, data go through a circular process: data is linked, aggregated and anonymized and then again de-anonymized, enriched with other data and profiles, so that it becomes personally identifying information again, and potentially even sensitive data, and is then once again pseudonymised, used for statistical analysis and group profiles, etc. 11. How should the responsibilities be distributed? A final question that needs to be answered when regulating Big Data is who should bear responsibility for enforcing the rights and obligations; or, in data protection terms, who should be the data controller. This issue exists irrespective of whether the regulator chooses to leave the existing legislation untouched, seeks to amend current legislation or opts to develop new Big Data legislation. The problem of allocating responsibility was prominent both in the desk research and the survey and, in general, manifests itself on three different levels. Firstly, there was already a fair degree of awareness of the increasingly transnational nature of data processing activities. The problem is that different countries have different levels of data protection. The danger is that private parties will settle in those countries where the regulatory pressure is low. But public sector organisations might act in similar ways as well. For example, in the Netherlands, there is a court case pending on the cooperation between the Dutch intelligence services and their counterparts abroad. Although the Netherlands limits the capacities of its intelligence services to collecting information about Dutch citizens, the US intelligence services, which are less constrained regarding the collection of data on Dutch nationals, might collect such data and then pass it on to the Dutch intelligence services. This might work the other way around, too. Consequently, intelligence services might effectively circumvent the rules that apply to them, by cooperating with other international actors that are not bound by those rules. Secondly, it is also apparent from the desk research that there is increasing cooperation between the public and the private sectors, voluntary or otherwise. For example, in Australia, there is collaboration between industry and academia; the Brazilian police use a system that was originally developed by Microsoft and the New York police; China stresses the need for cooperation between the public and the private sector; and the Estonian DPA refers to the cooperation between public and private parties with respect to the development of regional policies. Again, the question is which responsibilities should be borne by which party. Often, it is not clear at first sight what role an organization has played in the value chain of the data processing activity. Also, very different regulatory frameworks often apply to public sector and private sector institutions, as also noted by a number of DPAs in their response to the survey. Thirdly and finally, there is also a trend towards sharing data and linking databases between governmental organisations. This implies that government agencies that have a limited legal capacity to gather and store data may still obtain a wealth of information from other governmental organisations that have a greater legal capacity to gather and store such data. For example, the Dutch DPA refers to a lawsuit that revolves around the use by the Tax Authorities of information gathered by the police. Again, the question is which party should bear responsibility for enforcing the legal regime and the restrictions it imposes. More generally, it should be noted that data flows are becoming more fluid and elusive, meaning that more and more organizations are involved and more and more parties share partial responsibility. This complicates the attribution of responsibilities. What is the definition of Big Data? It is impossible to give an exact definition of Big Data. From the research conducted for this report, it follows that a number of different phases must be taken into account when defining Big Data, namely the collection, analysis and use of data. Big Data revolves around collecting large amounts of data (volume), from varied (variety) and often unstructured data sources. Big Data refers to the speed (velocity) of the analyses, often with the use algorithms, machine learning and statistical correlations. The results are often predictive in nature (predictive analytics) and are formulated on a general or group level. The use of the results is usually carried out through profiling. Many of the definitions used in the field contain some of these concepts; none of them mentions all of them. It therefore seems premature to give an exact and precise definition. Two things must be taken into account when regulating Big Data. First, the fact that Big Data cannot be easily defined; this will complicate the making of specific Big Data regulations or laws. Second, the fact that the Big Data process occurs at three levels: collection, analysis and use. These are communicating vessels and must be treated and possibly regulated in connection to each other. Is Big Data an independent phenomenon? Big Data should be viewed in its interrelationship and in conjunction with other phenomena. Big Data is part of and in some sense the umbrella term for many of the technological developments that are taking place right now. Terms that are often mentioned as part of the definition of Big Data or as related to Big Data are: Open Data, Re-Use, Internet of Things, smart applications, Profiling, Algorithms and Cloud Computing. Also, machine learning, commodification, datafication, securitization and risk society are sometimes brought up. If the government chooses to regulate Big Data, it should take into account that Big Data is not an isolated phenomenon, but is a development which by its nature very strongly correlates with a number of technical, social and legal developments that are already taking place. The government will have to take a holistic approach when regulating Big Data and related phenomena. Big Data: fact or fiction? Right now, Big Data plays a small role, but it will, nevertheless, become increasingly important as time progresses. Consequently, Big Data should not be seen as either an actual practice or fiction, a hype that will blow over, but mainly as a trend that will play a major role of significance in 5 or 10 years from now and will have a significant impact on the operations of governments and businesses and will significantly affect the everyday life of citizens. Only then will many of the effects of Big Data become clear. The government should develop future-oriented policies that follow and preferably anticipate this trend. If it starts to regulate Big Data only in about 5 or 10 years, many of the projects will already have started. The potential negative consequences will have materialized, and it will be difficult to adjust or cancel the projects that have already started. It should also be remembered that good and clear regulation can contribute to innovation and the use of Big Data. Because the frameworks for Big Data projects are not always clear at the moment, some government agencies and companies are reluctant to use new technologies for fear of breaking the law. New regulation may give more clarity on this point. What is the scope of Big Data? Generally speaking, the use of Big Data can be divided into three types. First, the use of Big Data for specific government tasks - examples include the use of Big Data by intelligence services, the police, tax authorities and other public bodies; for example, in the context of formulating economic policies. Second, the use of Big Data by the private or semi-public sector for achieving their tasks and/or goals. Examples include the use of Big Data by companies to create risk profiles, the use of Big Data in the healthcare sector and the use of Big Data in scientific projects. Thirdly, Big Data is used by both governments and companies to improve their service to citizens and customers - for example, this could involve increasing the transparency of activities, strengthening the control citizens have on data processing, etc. The regulation of Big Data will have to take into account the impact the use of Big Data has on the individual, the type of data and data analysis that is used, and the possible danger of a mismatch between a general profile and a specific individual. A distinction must be made between the type of body that executes Big Data projects and the specific purpose for which it is used - the general interest served by the use of Big Data should also have an impact on what is legally permissible. What are the opportunities for Big Data? The first opportunity that Big Data offers is to improve the service to the citizen or customer, to improve transparency in the public or private sector, and to give more control to individuals. This practice is generally unproblematic as it serves the interests of the citizen. The second possibility is the use of Big Data in the private and semi-public sector. Big Data is expected to provide a substantial growth in the number of companies, especially start-ups, the number of jobs and the profits generated by these companies. Both the public and the private sector see the biggest opportunities for Big Data in this field of application. However, the use of Big Data in the private sector is not unproblematic. When advertisements or services are personalized through the use of Big Data, the impact on the individual will be relatively small, but this may be different when risk profiles are created by banks or health insurers when deciding who may get a loan or insurance, and in what condition. There exists controversy about the question whether governments should make use of Big Data, especially with respect to security-related purposes. On the one hand, some countries already use Big Data, also for security-related purposes. On the other hand, there are considerable doubts about both the efficacy and the desirability of these projects. The regulator should particularly assess the efficacy and the desirability of the use of Big Data by the public sector institutions when used for security-related purposes. With regard to the use of Big Data by the private sector, a distinction should be made between the type of application. What are the dangers of Big Data? This study shows that the dangers of Big Data are assessed mainly along two lines. First, a possible violation of the right to privacy or the right to data protection. Second, the danger of discrimination and stigmatization. Regarding the first point, it appears from underlying research that most countries are well aware of the risks to the privacy of citizens. With regard to the risk of discrimination and stigmatization, this appears to be true to a lesser extent. Consequently, the government will have to weigh the dangers of a breach of privacy and of discrimination against the potential benefits. It should be stressed that both the right to privacy, the right to data protection and the right to freedom from discrimination are fundamental human rights that may be limited only in exceptional circumstances, if necessary in a democratic society. Are the current laws and regulations applicable to Big Data? From both the desk research and the results of the survey, it appears that, in most countries, the current regulations in the area of privacy and data protection are applied to Big Data processes. Germany with the distinctive personality right, the United States without an umbrella law for the regulation of privacy, but with sectoral legislation, and most other countries with relatively similar rules concerning privacy and data protection. In addition, a number of countries has specific legislation in the field of telecommunications; also, there are often special rules for organizations such as the intelligence services and archives. Current legislation is generally applicable to Big Data; both courts of law and DPAs are not empty-handed when confronted with Big Data-like processes. This should be taken into account by the government when regulating Big Data. Replacing the current regulation by new 'Big Data' regulation would be to throw the baby out with the bathwater. Rather, it should consider formulating new rules in addition to the current regulatory framework. Is there a need for new legislation for Big Data? In most countries, the existing laws are applied to Big Data initiatives. Also, the DPAs are in agreement that the current privacy and data protection principles must be safeguarded. Yet, most DPAs are also aware of the fundamental tension between Big Data and data protection principles. It is remarkable that despite this fact, little new legislation seems to be developed that specifically addresses the new dangers posed by Big Data. Some DPAs refer to the upcoming General Data Protection Regulation and hope it will contain new rules that could help to tackle the dangers posed by Big Data. A number of DPAs refer to co- and self-regulation as a possible solution. Still, some countries seem to be thinking about new regulations for data processing techniques, such as Estonia, France, Japan and Great-Britain. This is partly motivated by concerns over the protection of privacy, but also by the thought that the current laws hinder technological innovation. When answering the question whether it is desirable to formulate new rules for Big Data processes, the government will need to take into account three issues. First, almost all countries and DPAs see new and fundamental risks for the current regulatory framework and, in particular, its underlying principles in the Big Data era. Second, it appears that the current regulatory framework is regarded by some to be too restrictive, muffling the use of new technologies and technological innovation, particularly in the private sector. Third, many parties are unsure how the current rules and laws should be applied to and interpreted in the light of Big Data processes. There are roughly two dangers: on the one hand, for fear of breaking the law, parties may forgo many technological innovations that would be legitimate to use; on the other hand, parties may abuse the existing gray area and take steps that circumvent basic constitutional principles. Whether and how a new regulatory framework can solve these problems needs to be considered by the government. What concept should be central to Big Data regulation? Current regulations are often based on the individual and his interests - this applies to individual human rights and to data protection, which regulates the processing of personal data, that is, data that can identify or individualize a natural person. Since increasingly, data are not collected and processed at an individual level, and rather, use is made of aggregated data, which leads to general patterns or group profiles, the question is whether the focus on the individual can still be maintained. This ties up to the use of metadata – it is often unclear to what extent metadata can qualify as personal data. Finally, it should be noted that the nature of the data is less and less static and that data increasingly go through a circular life. While the current legal system is focused on relatively static stages of data and attaches to these stages a specific protection regime (such as for personal data, sensitive data, statistical data, private data, anonymous data, metadata, etc. ), in practice, data go through a circular process: data are linked, aggregated and anonymized and then again de-anonymized, enriched with other data for the making of personal or even sensitive profiles, and then again pseudonymised, used for statistical analysis and group profiles, etc. It seems to go too far to simply regulate 'data', but the direct connection to a specific individual, such as is the case with 'personal data', also seems difficult to sustain in the Big Data era. The government will have to determine whether 'personal data' as a concept is still adequate to serve as a basis for data regulation in the Big Data era. How should the responsibilities be distributed? Like the life cycle of data that is increasingly circular, with regard to the attribution of responsibilities, a clear shift may be seen from a world in which one controller collects, processes and uses the data and is, therefore, the party solely or primarily responsible for respecting the legal principles, to a world in which data are increasingly shared among governmental organizations, between the private and the public sector and between international public and private sector parties. With regard to the attribution and distribution of responsibilities in the Big Data era, the government has to make a principled choice. Will it, despite the observed trend, maintain the model in which one party has the sole or primary responsibility, and if so, who will bear the burden, or will it choose for a more dynamic model, and if so, how will the responsibility of the parties be divided and established?